Chec k out the real Animal Welfare groups that Francie & Scrimmy run across in the story. There’s lots of fun ways you can get involved too. 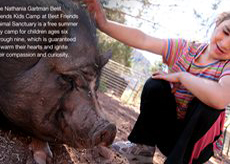 sanctuary in Utah (I’ve been there…AMAZING) where you can stay, play and help dogs, cats, birds and even horses and pigs. They have a super-fun summer day camp for Kids too! 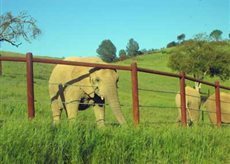 Or, PAWS wildlife sanctuary in California, where you can visit or adopt elephants and other wildlife, like tigers and bears (we’re going this year). 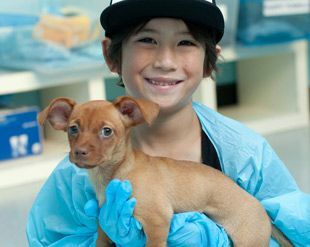 If you live in San Francisco like Francie, attend SPCA Kids’ Animal Movie night, or volunteer in their youth programs. Heading to Africa with the family? visit orphan elephants at the Sheldrick Wildlife Sanctuary in Kenya. Or sign the Universal Declaration that Animals Matter at World Animal Protection. Donations are always welcome too! Of course, adopting critters is the best, take it from Francie! (Adopt not Shop).